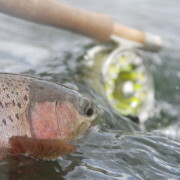 You are here: Home / Steelhead Chaser Blog / Fly Fishing / It is time!!! 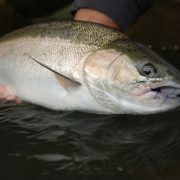 From a couple years back, That is how you start a winter steelhead season!! The fall has come and gone, now winter is here. 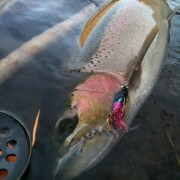 So are the first of the winter steelhead. this morning I started getting all my sink tips in line and putting together zip-locks with flies. 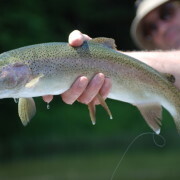 Which means I need to tie. 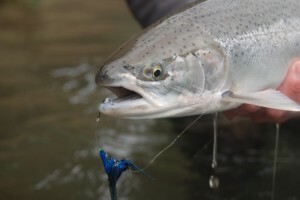 The simple idea of catching my first winter steelhead of the year is rerally starting to get under my skin, and I know some of you may have it worse than I do. 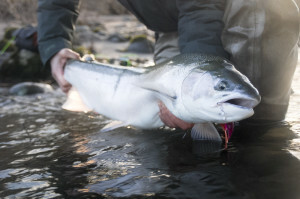 As a winter steelhead guide the first few winter fish to the beach really validate the guides place on the river. Flashes of chrome, long runs and heavy head shakes!!!! 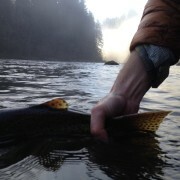 Weather the fish slides in at 3lbs. or 30lbs matters not. The ever constant pursuit of the elusive is the pull that makes us few winter steelhead anglers. 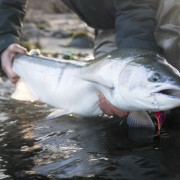 The early winter steelhead are bright and ready!!! 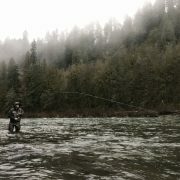 So if you feel the way I feel and have the same strange pull to the cold winter steelhead streams of the PNW. The lets go, because it is time!!! I am ready, after today anyway, lol. Winter steelhead are the picture of hope and survival, as well as FN awsome fish to catch! 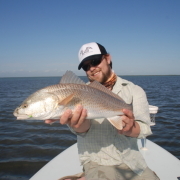 http://speyfishingoregon.com/wp-content/uploads/2014/08/awa-spey-fishing-13.jpg 533 800 Travis Johnson http://speyfishingoregon.com/wp-content/uploads/2014/04/awa-logo1.png Travis Johnson2014-12-19 08:49:362014-12-19 08:52:06It is time!!! 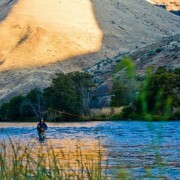 Deschutes Trout Fishing Report and Upcoming events. 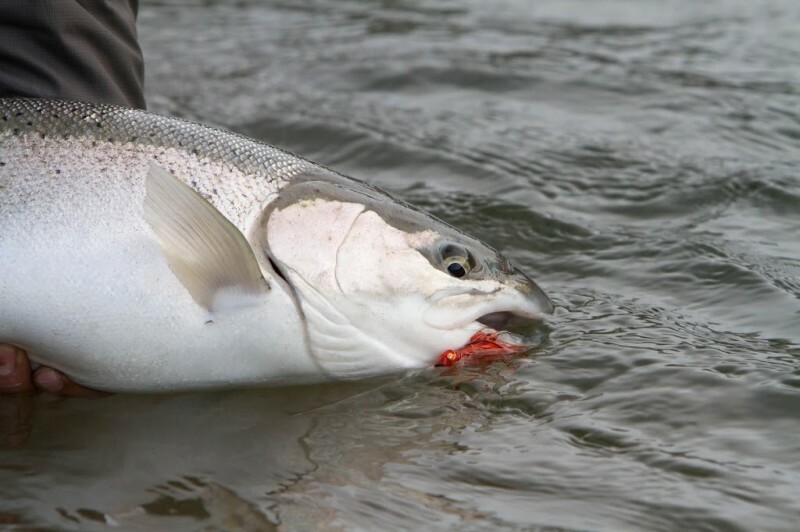 The Measure of a Deschutes Steelhead Season 2015 Redfish Trip.